How do you unlock Fortnite Prisoner skin stage 2? If you’ve assiduously ground out masses of season 7 challenges, you’ll have access to the skin that holds plenty of secrets as to what’s to come when the Fortnite season 8 release date hits and where the game’s wider lore is headed. However, he’ll turn up in your inventory with some, well, issues. So, for that reason, we’re going to help you unlock stage 2 of the Fortnite Prisoner skin. To gain access to stage 2 you need to have completed 60 challenges, and your reward will be the Fortnite Prisoner skin. The trouble is, the fabled hero of the land of Fortnite has a big ol’ padlock on his bonce. That’s going to present any number of problems when it comes to a spectacular tussle with the Ice King. If you’re not au fait with your Fortnite lore, let’s catch you up a bit. This elusive hero was first found in the loading screens given to players to solve their weekly Fortnite Snowfall challenges, until a chained man was found stuck amid the ice of Polar Peak. Fortnite’s Prisoner is said to be the hero the world of Fortnite needs to rescue its players from the existential threat of the Ice King and his mindless minions as his frost consumes the map. To us, the bigger threat is all the other players trying to kill you for a Victory Royale, but we digress. Here’s how to unlock stage 2 of the Fortnite Prisoner skin. To unlock stage 2 of this Fortnite skin, you need a key that unlocks his unfortunate face cage, which can be found in Polar Peak. 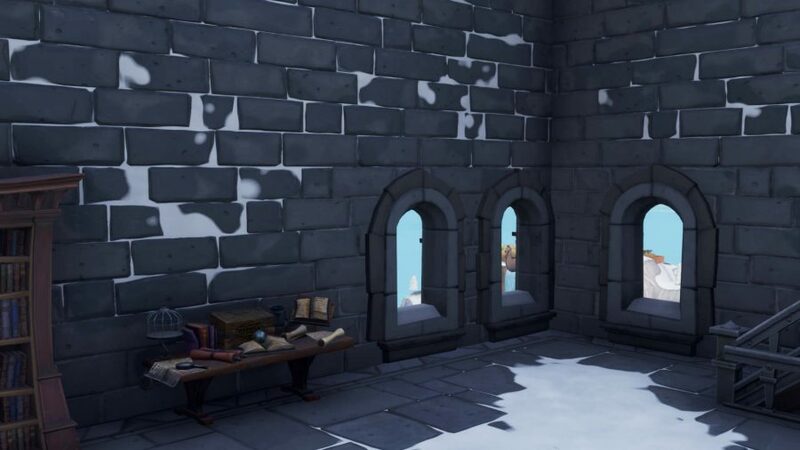 On the top floor inside the castle you’ll see a desk by the window. As long as you have the Prisoner skin equipped a key will appear on it. Once you have that, you’ll finally be able to unlock your skin’s heroic visage. 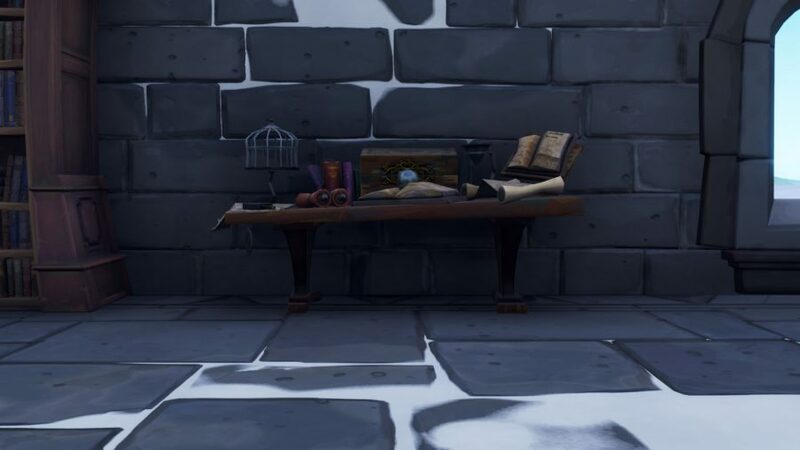 Just so you know exactly where to go, we’ve provided a screenshot to show you the desk on which the key will pop up. And there you go, how to unlock stage 2 of the Prisoner skin in Fortnite. We’ll keep you updated with all the latest Fortnite Prisoner news when we get it but, for now, make sure you’ve finished up your week 10 challenges before they disappear for good, such as completing your Fortnite Shooting Gallery and golden balloons missions. For now, we hope your enjoy your newly-liberated hero skin.